That's a big kitty cat. Discussion in 'The Lounge' started by Potroast88, Mar 12, 2008. Several years ago this woman found a sick, malnourished lion cub in the jungle. She took the cub home and fed him and brought him up until he was too big to keep anymore. I love that video. I posted that almost a year ago in the politics forum when there was a little ted nugent debate on big game hunting. 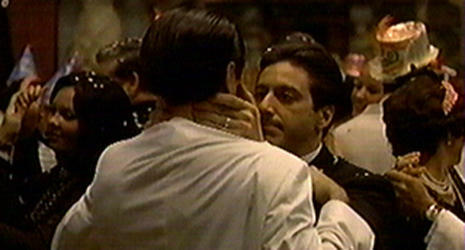 doesn't it remind you of "The Godfather"?